Collection of interviews with vietnam veterans from 1985. To be honest it simply breaks my heart to see these brave patriots left clueless, as to why they found themselves betrayed and scorned by the very countrymen who weren´t brave enough to go over and fight for freedom and democracy themselves. But how could they have known, that the enemy had conducted a highly succesful all-encompassing PSY-WAR on their homefront for 20 years? A multipronged campaign involving infiltration of all the relevant educational facilities, media and party political institutions; and a veritable drug-fest, putting a whole generation on halucinogens while agitating pacifism into their sleepy ears already busy following the weird pavlovian confusions called "psychedelic rock". 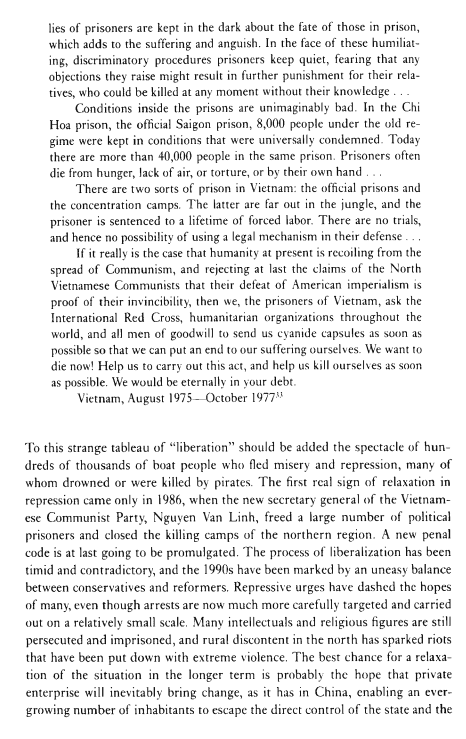 To set the tone, before delving into this time-window, let me quote some testimony from the Black Book of Communism, giving evidence to the fact that not only were concentration camps common in Northern Vietnam already in the 50s, they remained in place until around 1986. 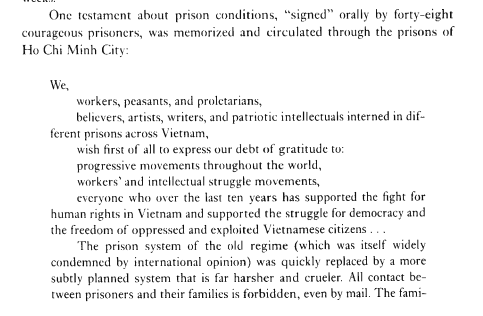 That means that all those years where the hippies were surfing the hedonist wave of "anti-war protests", hundreds of thousands of especially christian vietnamese were kept in concentration camps for being "bourgouis" or "collaborating" with the free world. The fate bestowed upon these poor innocent people, captured often at random from every single village and tugged away in tiny dark rooms for years on end, if not tortured or starved to death - along with the socialist genocide in cambodia - will forever rest on the filthy conscience of the stupid politicised hedonists of the 70s "fighting for their right to party"
From the Black Book of Communism pp.573 A letter from the prisoners of vietnamese concentration camps 1977.